This move-in ready brick ranch is centrally located and fully renovated! Survey the expansive acre lot as you approach the rocking chair front porch. Picture morning coffees and evening chats! New hardwood floors welcome you inside and spread throughout the main living areas. Pass through the dining room into the office with French doors and floor-to-ceiling built-ins. The adjoining kitchen features abundant cabinet space, granite countertops, stainless steel appliances, subway tile backsplash, and charming painted brick accent wall. The living room, boasting a beautiful painted brick fireplace, and family room provide additional space for entertaining or relaxing! Stop by the three oversized bedrooms, elegantly remodeled master bath, and hall bath with zero entry shower before heading out back! The rear screened porch overlooks the tree-lined yard and oversized 2-car garage/workshop with dedicated electrical circuit. Further updates include replacing HVAC and ductwork, tankless water heater, adding closet systems, fenced yard, irrigation system, recessed lighting, speaker system, whole house generator and more! 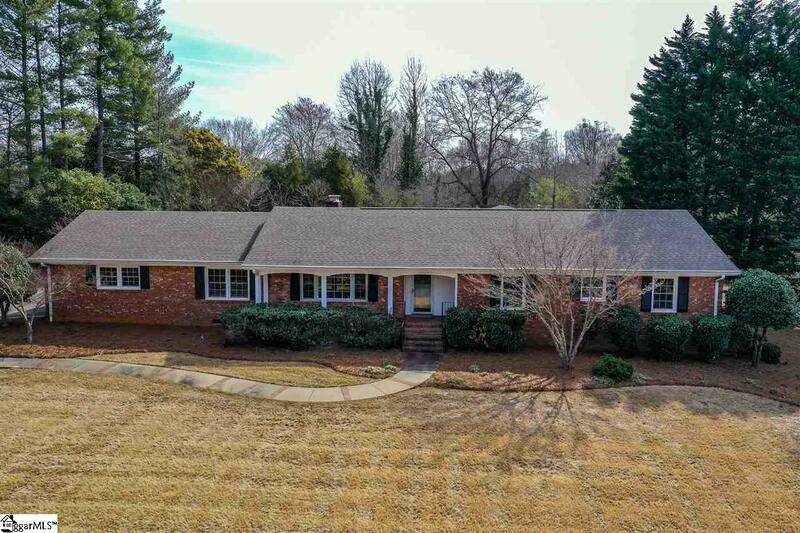 Schedule a showing today to see this one in person!